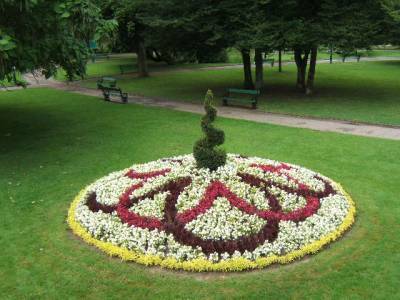 The oldest part of Vesoul ”English Garden” dates from 1863, it was extended in 1885 and modified in 1977. 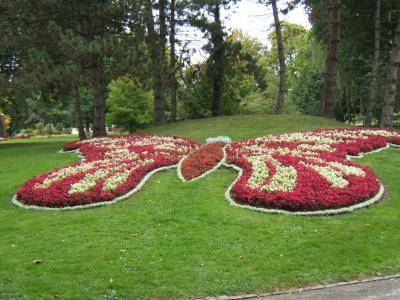 It was Brice Michel, landscape gardener and architect who created this garden within the context of regional horticulture exhibitions. The ”English Garden” fringes with the urban fabric. The river ”Le Durgeon” runs along side the garden which manages to keep away from the urban fabric thanks to two of its borders but also communicates with the new residential areas thanks to a ”green paths”. 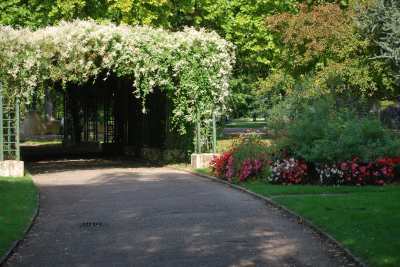 A bridge situated on the ”Alley” road brings about a colourful touch to this place endowed with a rose adventure playround for children. Open : all year round. Guided tours : each Saturday in june on request.